This salad is light and refreshing. 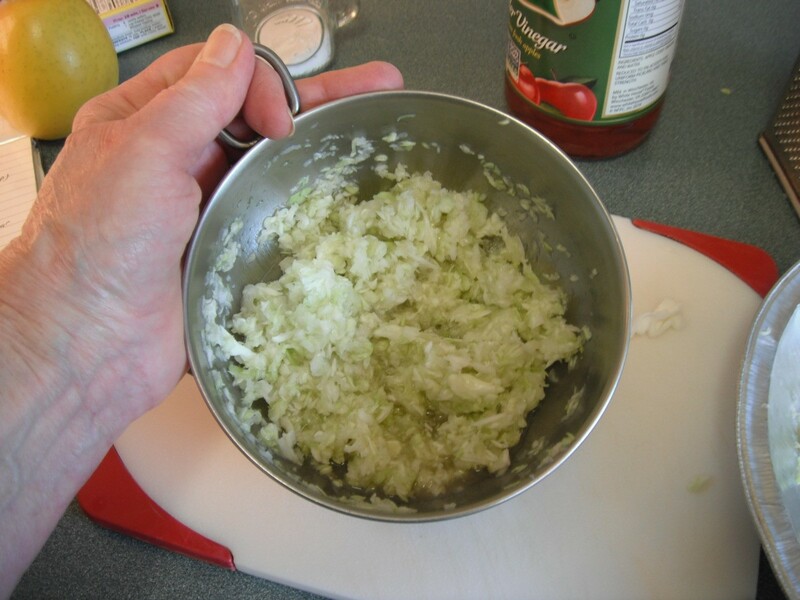 It's an old recipe that is simple to make using just a few ingredients. Although I prefer apples without the peelings, it would be more colorful if I left the red peelings on the apple. I make it often, just for the two of us. 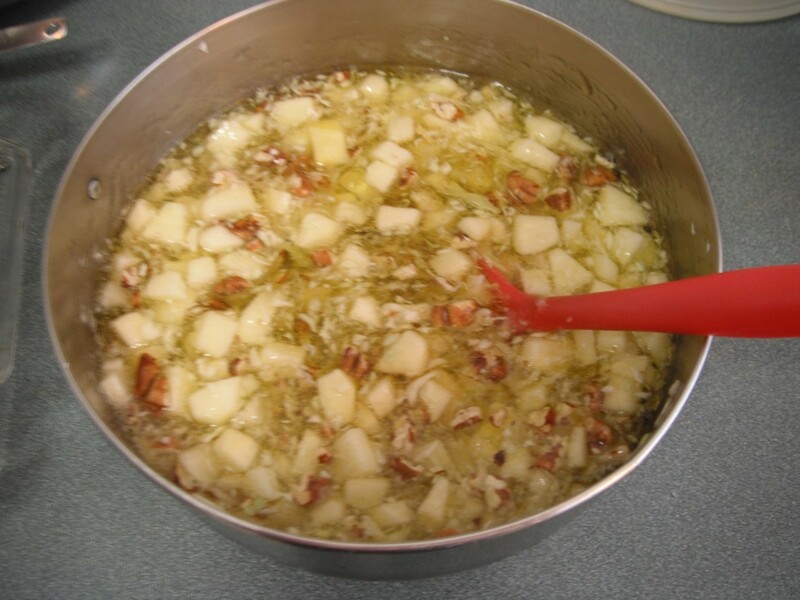 It's also a good dish to take for potluck gatherings and goes well with many foods. I hope you will give it a try. 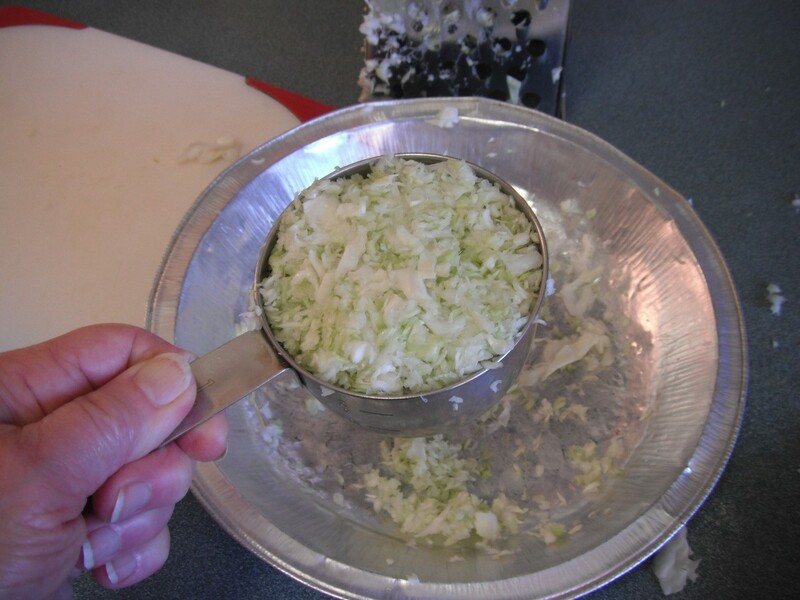 Combine cabbage, vinegar and salt in a small mixing bowl. 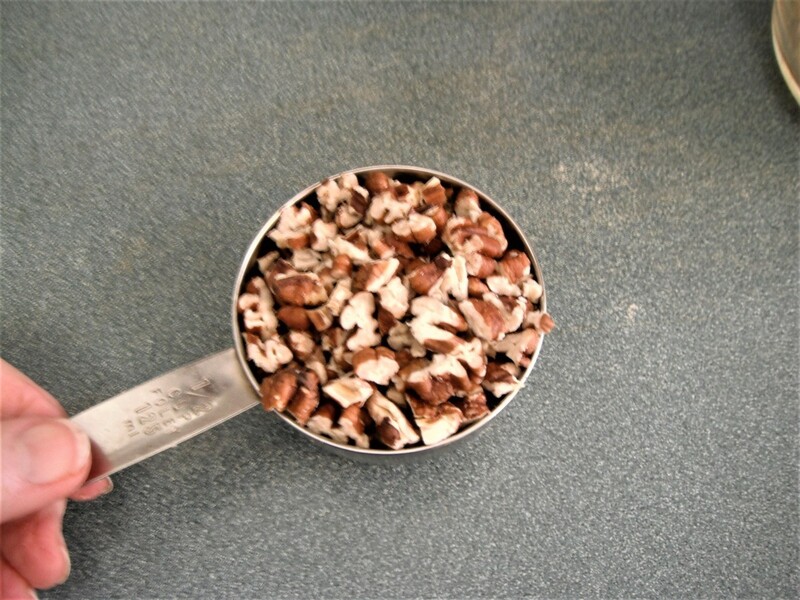 Let stand for 20 minutes or more while preparing the other ingredients. Place Jell-O mix in a medium mixing bowl. 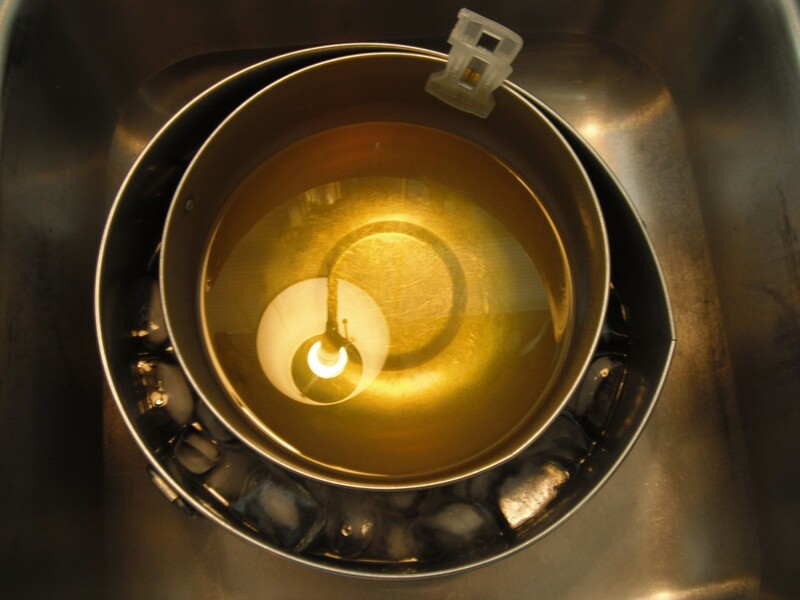 Add 2 cups boiling water and stir 2 minutes until completely dissolved. Stir in 2 cups cold water. 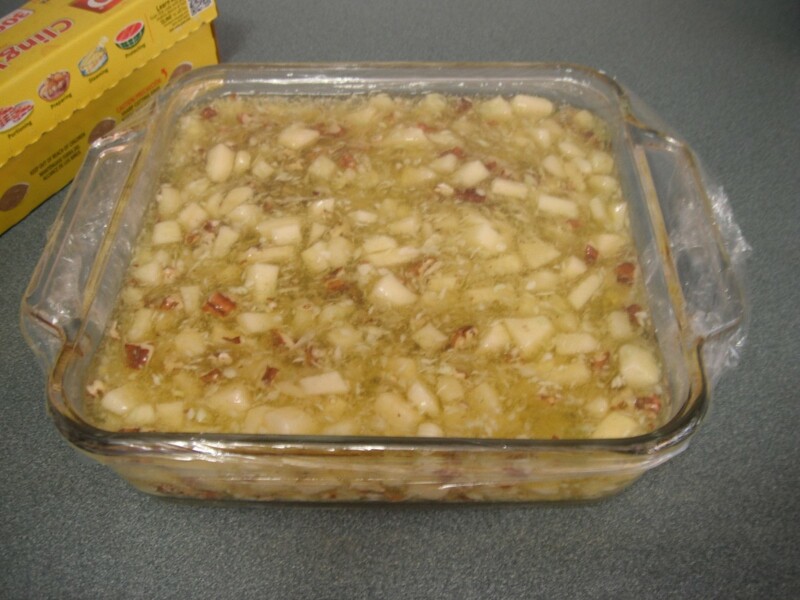 Place bowl of Jell-O in a large mixing bowl that contains ice and water. Stabilize the medium bowl to the large bowl by clipping it together so it will not tilt. Set your timer for 15 minutes. 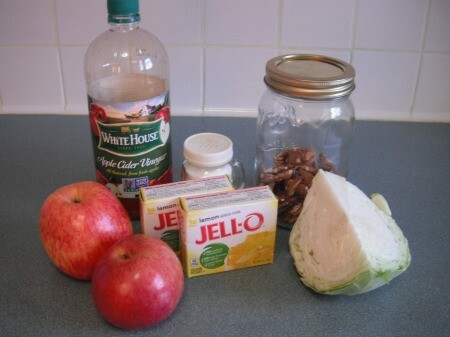 When Jello-0 is slightly congealed, approximately 15 minutes, remove container from the ice water. 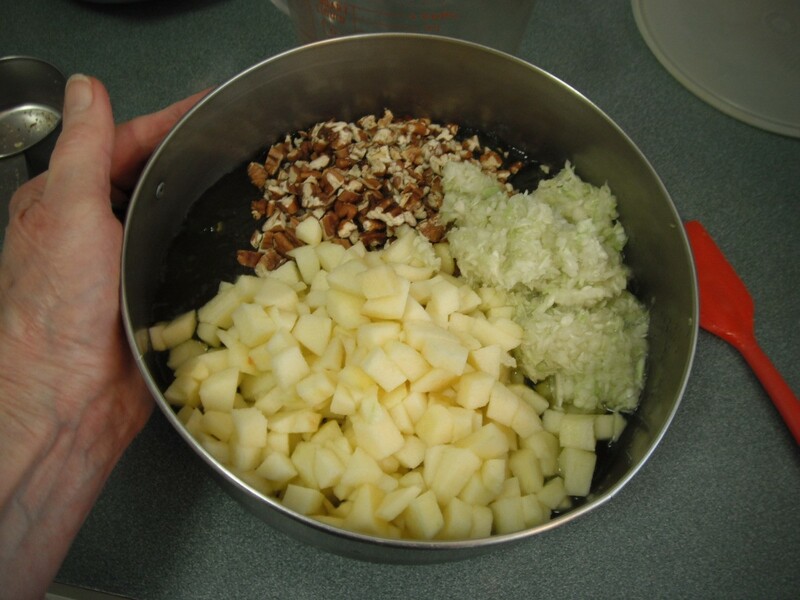 Add the chopped nuts, diced apples and marinated cabbage and stir until mixed together. 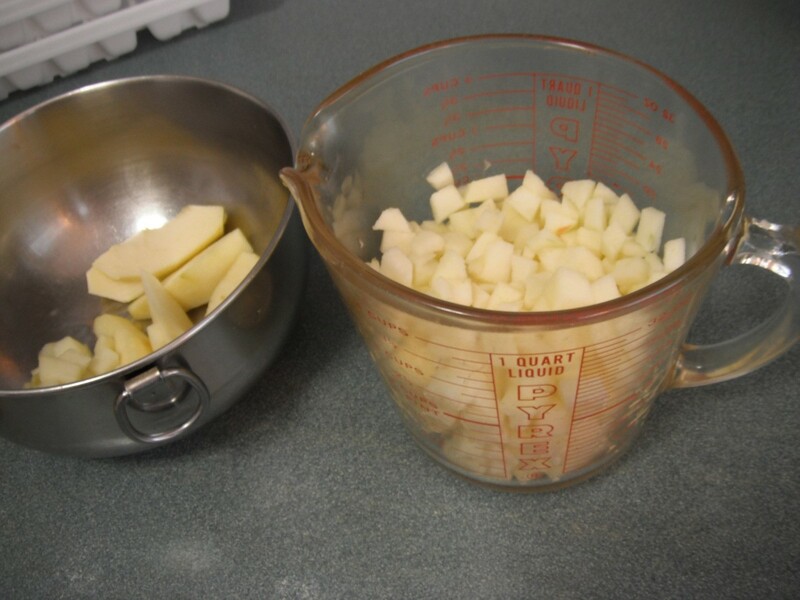 Pour into a 2 quart Pyrex dish. Cover and refrigerate until firm. Approximately 3-4 hours. 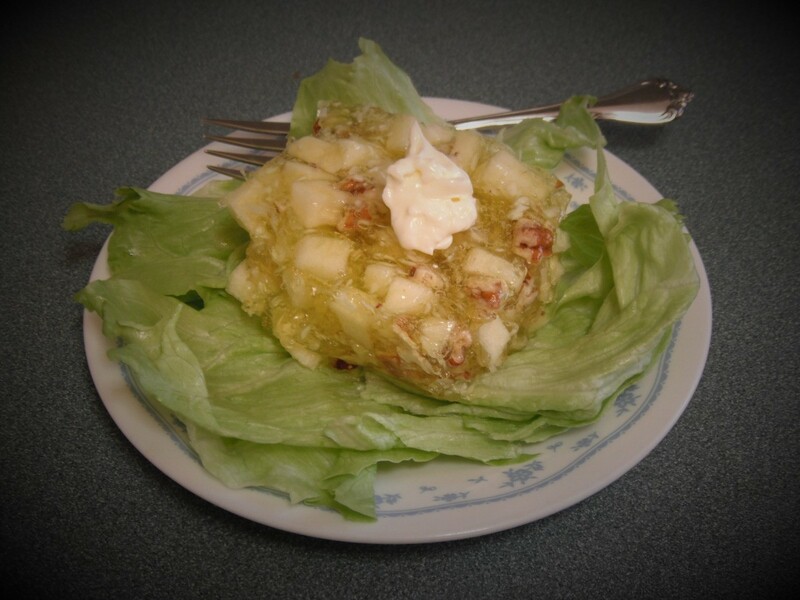 Serve on a bed of lettuce and top with a dab of mayonnaise. Or serve without the lettuce and let everyone spoon out what they desire and put it on their plate with the other food.